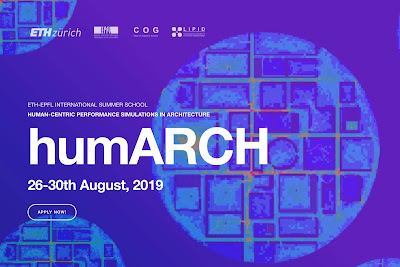 HumARCH poses the notion of computational simulations as an appropriate and integrated method to explore human-space interactions before the building construction and to support an evidence-based architectural design process that moves beyond intuition in daylighting and wayfinding. During an intense 5-day program, students gain theoretical input and engage in independent learning, group work and exposure to state-of-the-art industry and research-based simulation tools. Posted Mar 11, 2019 by Carla Sologuren on Rhino News, etc.